A 1992 graduate of St. John’s University School of Law, Mr. Heffernan was a member of the Journal of Legal Commentary. Earlier in his career, Mr. Heffernan’s served as an Assistant Corporation Counsel for New York City Law Department, Queens Tort Division, where he was involved in all phases of pre-trial litigation resulting in his appointment as Deputy Assistant Chief of Legal Analysis Unit. Thereafter, Mr. Heffernan worked in the Trial Unit and gained invaluable experience in the course of bringing more than 30 cases to verdict. Mr. Heffernan served as a Senior Trial Attorney for the Nationwide Insurance Company handling both commercial and personal lines litigation. While at Nationwide he focused upon the litigation, trial and appeal of complex tort matters. 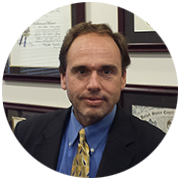 Mr. Heffernan is a seasoned trial attorney well regarded for his expertise in labor and construction law, toxic torts, premises liability, intentional torts and motor vehicle liability as well as declaratory judgment actions and various coverage issues.